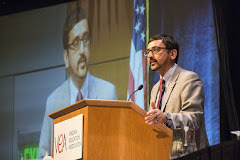 Urging educators to unleash the power of their stories and the truth of what’s happening in public schools, NEA President Lily Eskelsen Garcia brought the nearly 700 delegates in the room to their feet, assuring them that if they spread the good news, the public would line up to support them. She went on to point out that in the U.S., we’ve never had more high school students than we do today taking AP tests and graduating from high school having earned college credits. Also, some 85 percent of families in our country choose to send their children to their neighborhood public school. 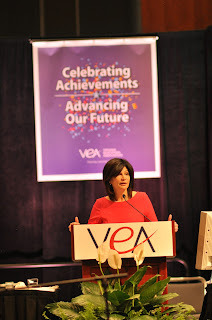 VEA delegates will also be electing new statewide leadership at this convention, so candidates for those offices were given five minutes each at the opening session to speak during the opening session. Three members are vying for the office of President: Jim Livingston of the Prince William Education Association, Joey Mathews of the Loudoun Education Association, and Sarah Patton of the Covington Education Association. There are two candidates for Vice President: James Fedderman of the Accomack Education Association and Donald Wilms of the Chesterfield Education Association. In addition, two candidates are competing for an Education Support Professionals At-Large Alternate spot on the VEA Board of Directors: Gwen Edwards of the Prince William Education Association and Barbara Powell of the Virginia Beach Education Association. 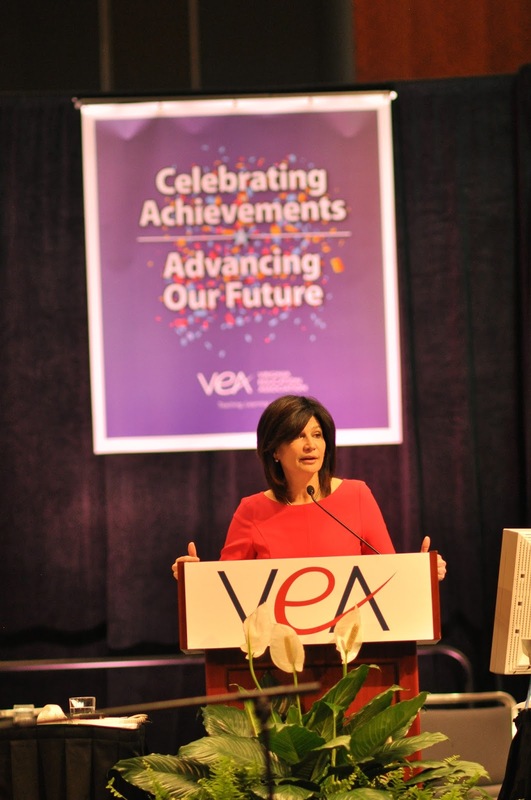 Carol Bauer of the York Education Association ran unopposed for re-election to the NEA Board of Directors and will serve another three-year term.